Lauren trained at the Conservatory of Music at the University of Missouri-Kansas City. She holds Bachelor's and Master's Degrees in Voice Performance. She is also certified to teach K-12 Vocal Music. She has performed professionally for 8 years, and is a proud member of the Actor's Equity Association. Her local credits include Kansas City Repertory Theatre, Starlight Theatre, Coterie Theatre, American Heartland Theatre, Quality Hill Playhouse, Unicorn Theatre, Metropolitan Ensemble Theatre, and Civic Opera Theater Kansas City. Her regional credits include Arrow Rock Lyceum Theatre and Seagle Music Colony in New York. 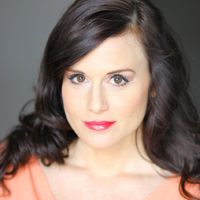 Lauren also stays busy with commercial, film, and voiceover work. For upcoming performances and information visit laurenbraton.com.